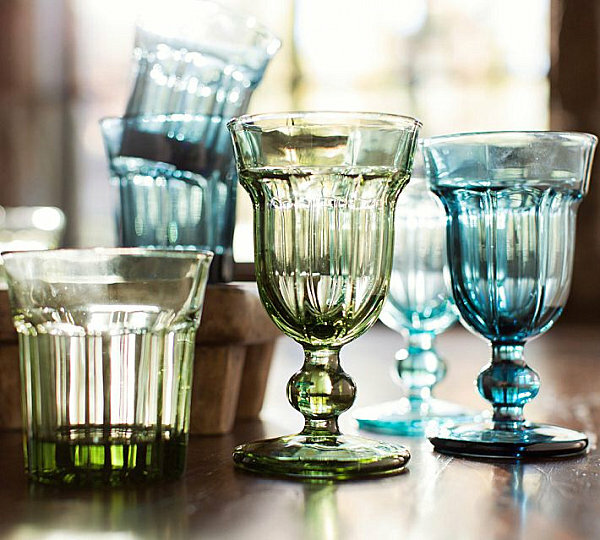 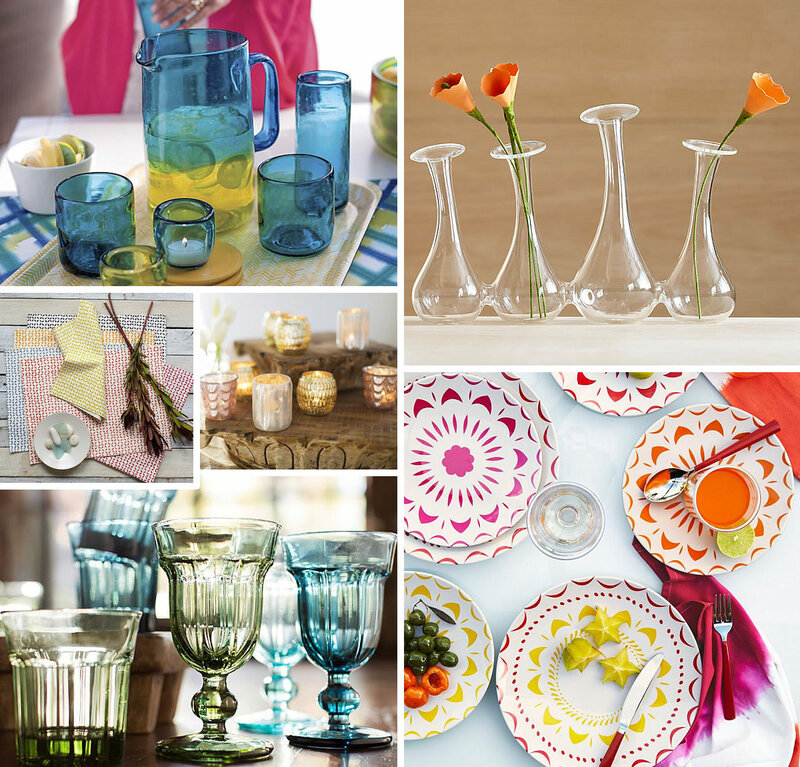 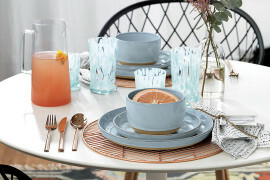 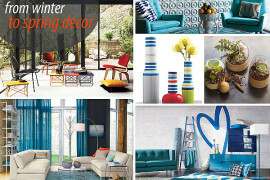 The glassware above would look absolutely amazing on the Perspective Coaster Set from Z Gallerie, shown below. 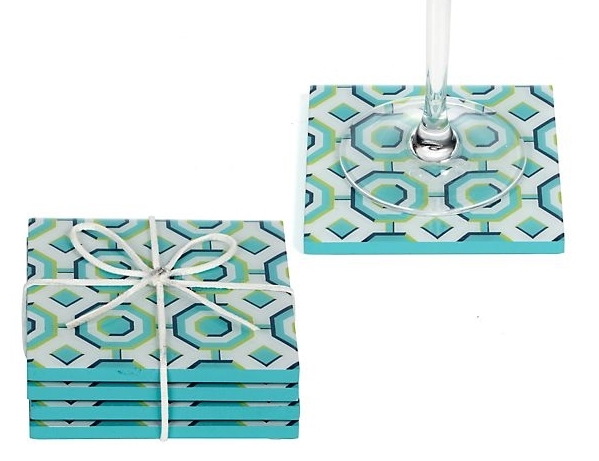 A bold geometric pattern featuring vibrant shades of aquamarine and mint highlights these melamine coasters, sold in sets of four. 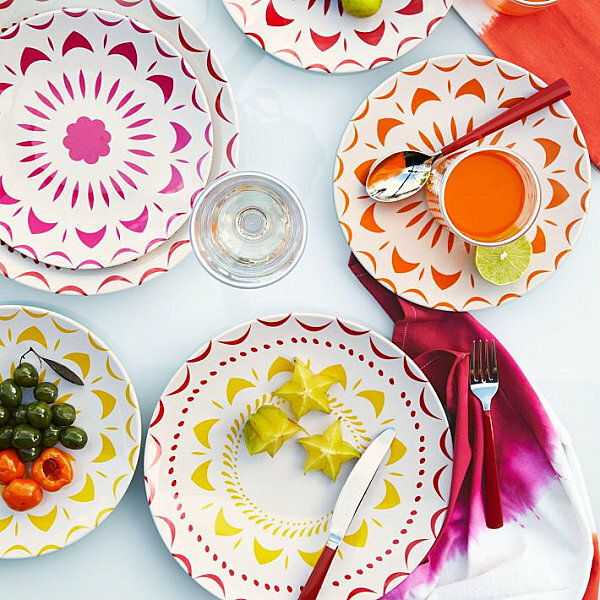 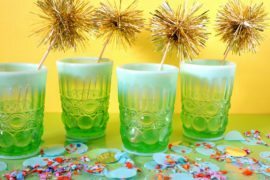 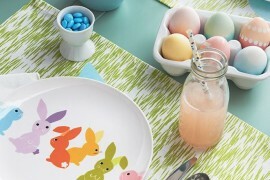 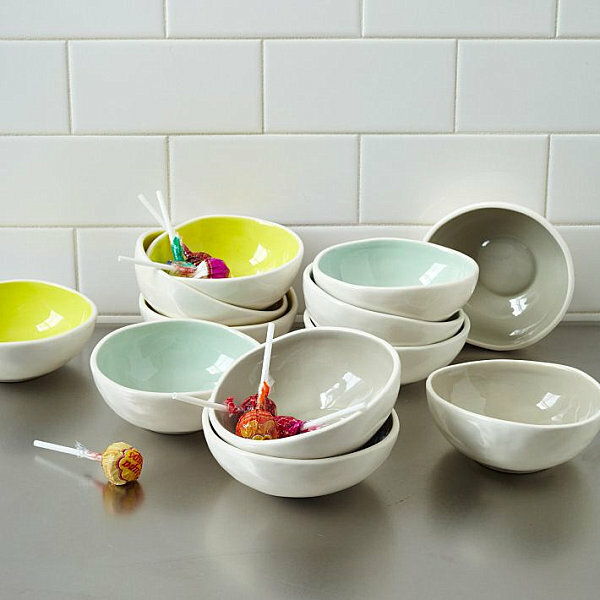 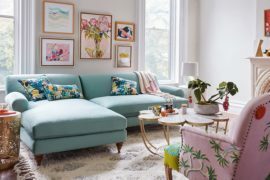 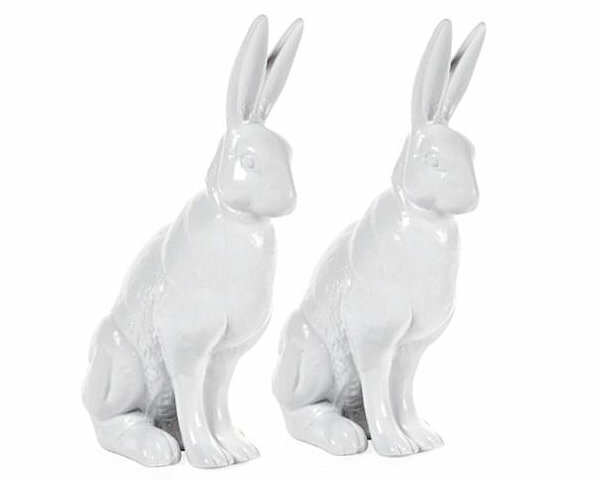 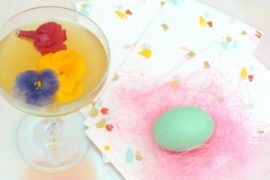 With a print this striking, you could go with solids for the rest of your Easter table and embellish the space with brightly dyed eggs to polish off the setting! 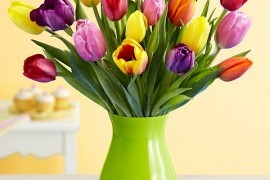 Or simply go green. 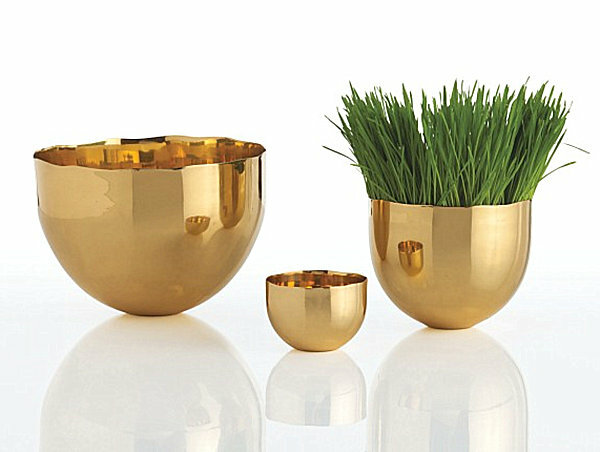 There’s nothing more refreshing than a manicured spring lawn, or an Easter basket full of grass. 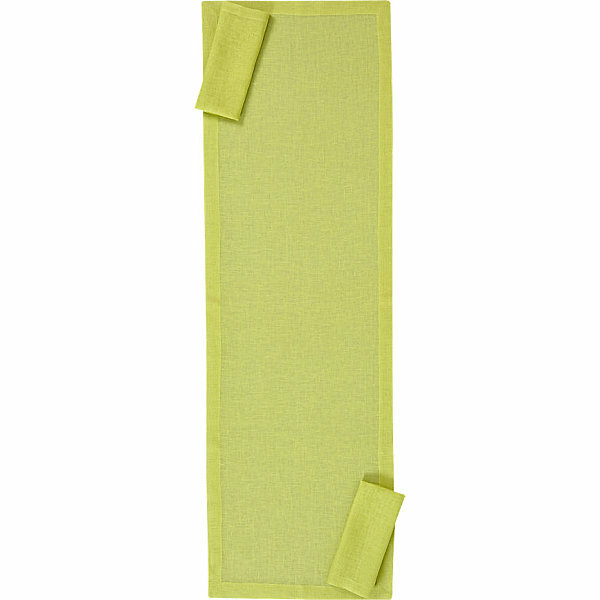 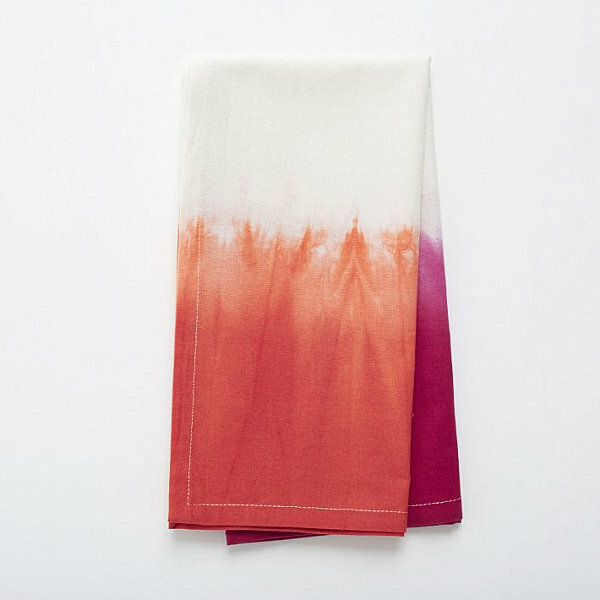 The Uno Chartreuse Linen Napkin from CB2 evokes spring’s most abundant color. 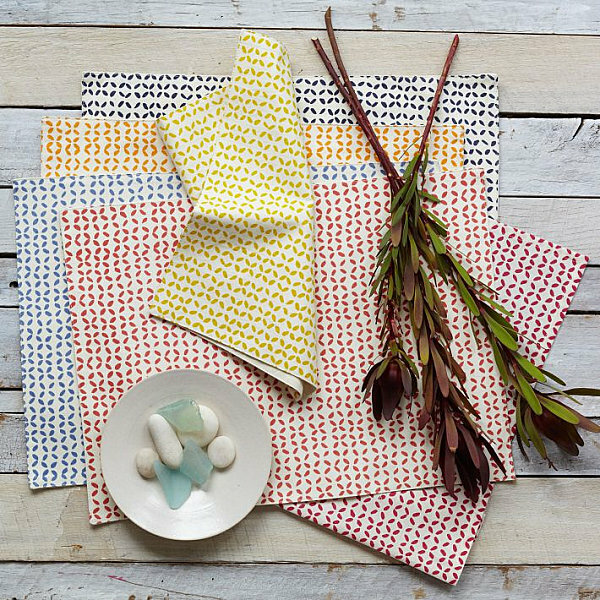 Below we see these natural linen items paired with the Duo Chartreuse Linen Placemat for Two, which can’t help but add vibrancy across the table. 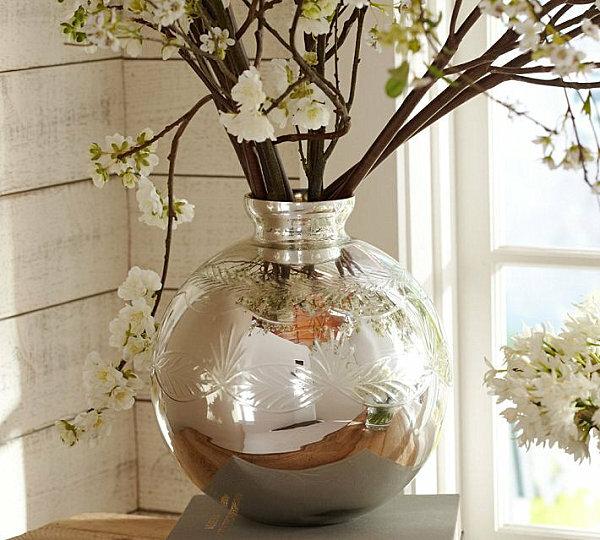 This Etched Mercury Glass Vase from Pottery Barn is definitely not holiday-specific. 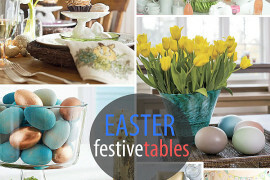 But this round piece is perfect for Easter blooms, such as the branches shown below. 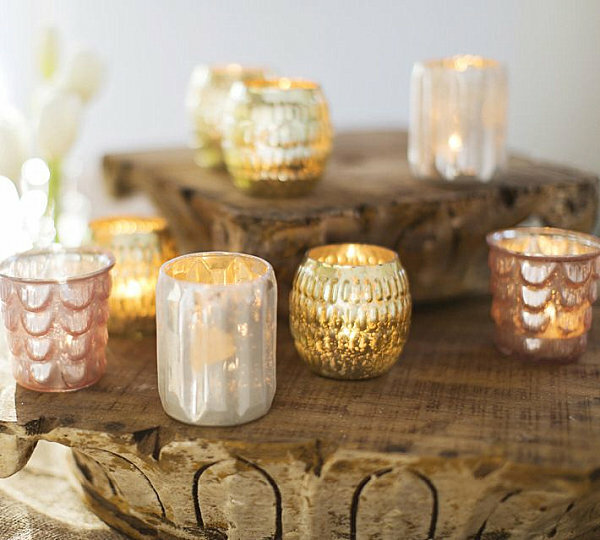 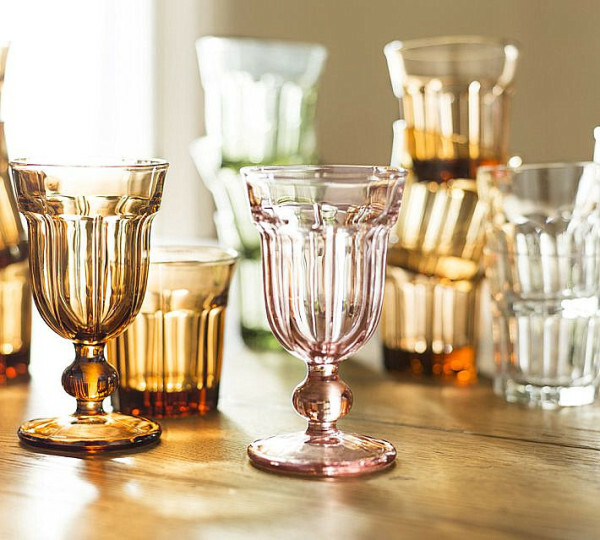 Each vase is crafted of blown glass with an antiqued mercury finish for a little metallic tabletop shine. 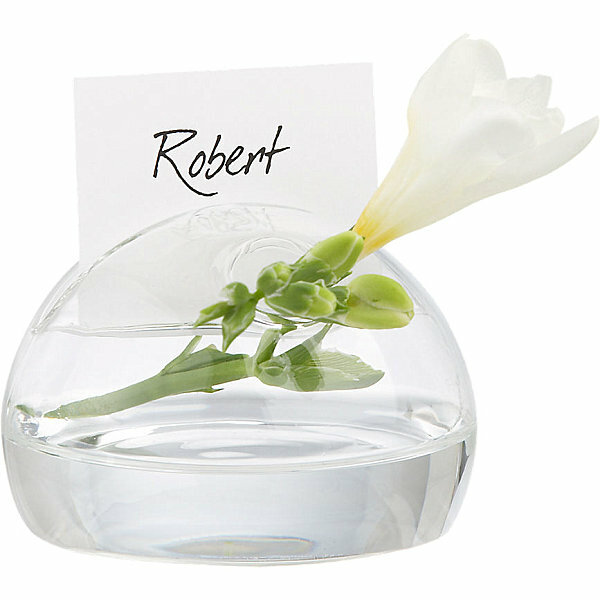 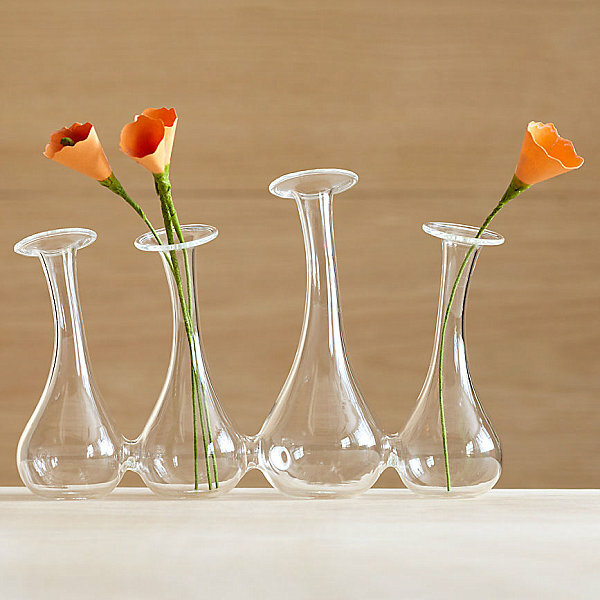 For a tabletop vase with a twist, check out this 4-Some Bud Vase from CB2, made of hand-blown beaker glass in a formation of four connected vases. 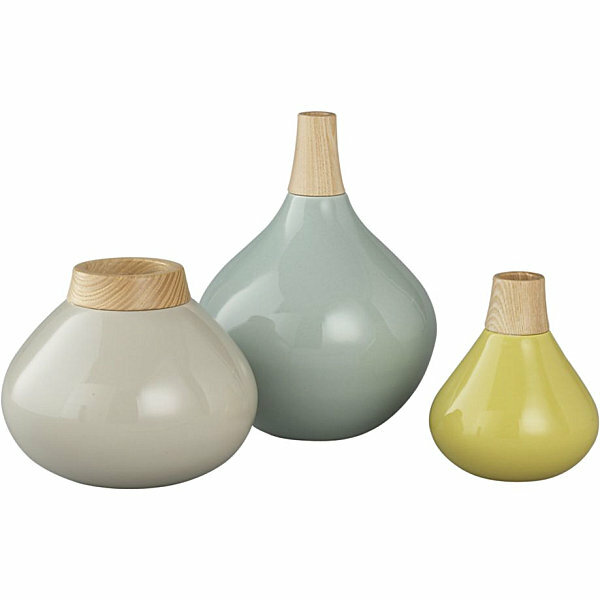 It’s what you get chem lab style meets modern design! 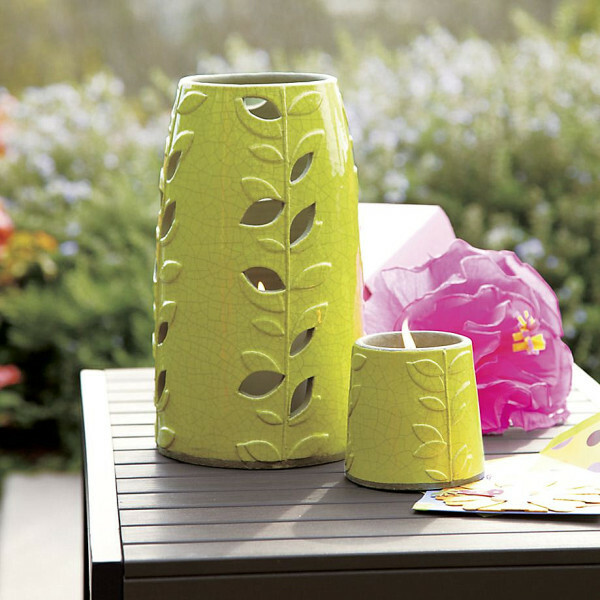 And in case you want to take it outside…We end with the Vinca Vina Huricane and Candle Pot from Crate & Barrel. 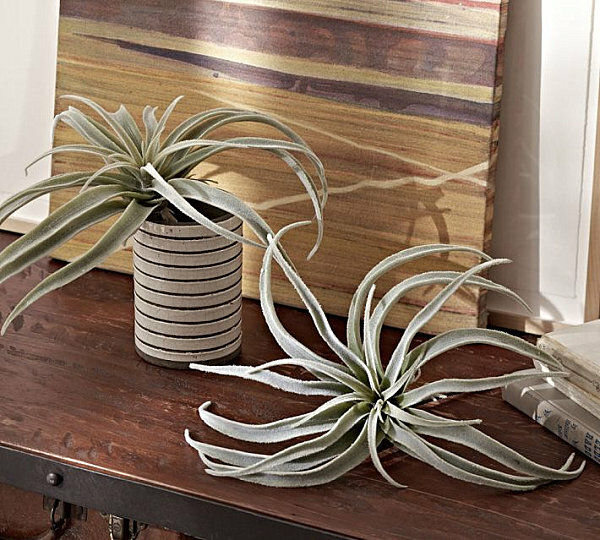 Hand-embossed vines come to life on this earthenware. 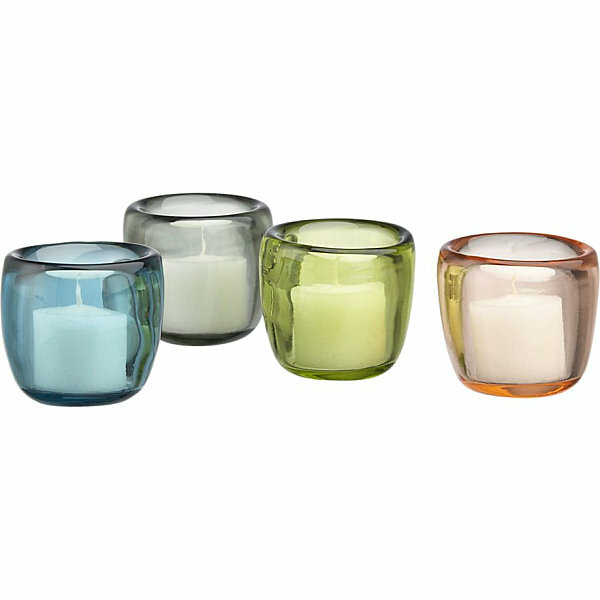 Use a tea light or votive for the pot and a pillar candle for the hurricane. 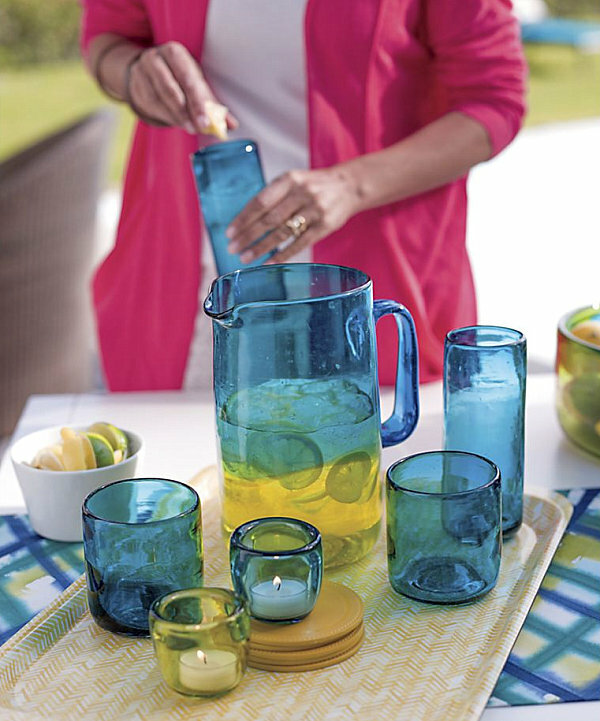 Of course, these chartreuse pieces would be heavenly indoors as well!